Over this last weekend, I was introduced to an album I did not know existed: Bleed On Your Dress by Saar. I’ve been a fan of Saar Hendelman’s work since I first heard the soundtrack to the movie The Devil’s Carnival, so to find out he had a solo album? I immediately said yes, and picked up the digital version while I patiently wait for the physical version to become available again. For those who do not know who Saar Hendelman is, he is a lyricist, singer, composer, and pianist. 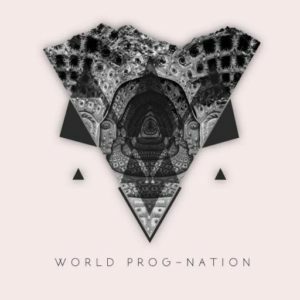 With a unique style that creates dissonant, dark fever dreams through menacing sounds. Pounding the piano keys while simultaneously caressing them like a lover. He is known for his movie scores for Maggie, The Visitors, and perhaps most famously for the cult movies The Devil’s Carnival and Alleluia! The Devil’s Carnival. As well as his new musical project with Terrance Zdunich (star of the cult movie Repo! The Genetic Opera) called American Murder Song, which I was able to see live last week in Nashville, Tennessee (only a day between it and the Elder show I recently wrote a review for as well). You’ve come here for an album review though, so here we go! 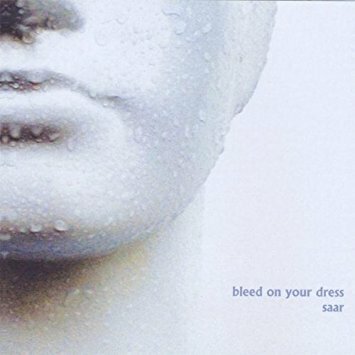 The album Bleed On Your Dress is unique. Dare I say, progressive in a sense? Thinking along the lines of Steven Wilson and Mikael Akerfeldt’s Storm Corrosion project, of course. It’s out there. Very much out there, and is possibly one of the most unique albums I’ve heard to date. Opening with the song “Opiate”, the dissonant feel of the album is set up quickly. With a steady beat from a drum, and scraping of strings. Bringing in the darker tone of Saar’s piano then his lighter singing tone. It sounds perfect for a horror movie. A feeling of unease settles in. As if something is about to happen. “Stutter Divine” follows with a similar, yet more playful darkness. An attack on the senses. A killer cornering you, and making you stutter and plea. Count it as a plea for more, which is happily fulfilled. “Naked” takes a complete turn from the first two tracks in a musical sense. Much more playful. Something you could imagine walking into an old-time bar and hear played on a piano while you enjoy a drink. Lyric wise, perhaps not, but they compliment the more upbeat piano perfectly. They hold the same feeling from before. It’s really a showcase of Saar’s ability to span several genres of music. “Bitter Tool” brings us right back down to the darkness. Pounding drums and shakers. Tribal. The piano is absent, but instead we are graced with just his vocals. Desperate and wanting. Track five begins much gentler than the last. “Noise” begins with a softer piano sound. The same breathy vocals drawing you in. One strike of the keys brings on the urgency in the song for a moment, before trailing back off into the tone from before. Perhaps a lover who hates that they need their significant other. “Weimar” is completely instrumental, but does not lack a single bit of beauty. As an instrumental piece, it is one of the finest I have heard. Upbeat and playful. Like you’re at a carnival. One full of sinners and so called saints. With bottles of beer and whiskey lying about. “Suture” is my second favourite track from Bleed On Your Dress. Minor tones create that same feeling of unease one might get from something like Steven Wilson’s Grace For Drowning. Yet, it’s still fun. Perhaps it’s just my darker nature coming through. What about the favourite track, you say? That goes to the next track “Turpentine”. It’s creepy, and I love it. You get a wonderful feel for Saar’s vocal range here. From low to high. I honestly don’t want to spoil it all for you, so I suggest going to give this song in particular a listen after this. It’s what created the undying need to add this album to my physical music collection as great as it is. The final track “Hermione”… Goodness, what can I say about this lovely piece? It turns away from the sound of the overall album in a way, but is the perfect way to end it all. Softer all over. In the way the piano is played, as well as in his voice. No other instrument joins the fray. Simply a gentleman with his piano. It is also the longest track on the album, sitting at a comfortable six (nearly seven) minutes long. The spoken word portion tugs at the heartstrings. Drawing emotions to the surface that aren’t felt throughout. It ties Bleed On Your Dress together as a beautiful package from a man who understands music fully. Who knows how to move across the emotional spectrum as easily as fingers glide over ivory keys. All in all, Saar Hendelman’s solo album Bleed On Your Dress is a must have and must listen for any music lover. I implore you to check out this album. Afterwards, peruse his other works. Be it wonderful film scores, or ballads about murders most foul. Also, a note to Saar (should he read this): I hope you guys enjoyed the whiskey, and I can’t wait to hear future work from you! Be it a new solo album, film score, or with Terrance. I’m not going to apologize for that puddle on the floor, sir, but I hope you didn’t slip. Pick up a copy of Saar Hendelman’s solo album Bleed On Your Dress and check out his other work over on his website. Or for the history lover, check out American Murder Song with his friend Terrance Zdunich! Their latest album The Donner Party is out now. Pick it up on the American Murder Song website.